A former editor of mine once described wordy article introductions as “throat-clearing,” as in, this person doesn’t know yet what they’re trying to say, so they’re hemming and hawing before getting to the point. You could chalk it up to writers liking to explain things or the need to dramatically set up the scene, but when it comes to everyday non-fiction writing—especially on the web—it’s usually better to get to the hook as quickly as possible. The clock is ticking. Thanks to the editors, writers, and readers who chimed in with their advice for this post, which no doubt has several errors in it. Let’s just consider them Easter eggs. When approaching a piece of writing, most editors first check for the big picture to do “macro edits.” Here, we’re dealing with the content of the story—how it flows, if it all makes sense if the tone is appropriate, and if there are any questions we didn’t answer that readers might have. I like to call this “defensive editing,” much like defensive driving. After that, we can get into “micro-editing” for the nitty-gritty of editing for mechanics and language issues (see the next section if you, too, nerd out on words). Get to the point. The example above isn’t as bad as my initial attempt at the lede (the first couple of paragraphs that introduce an article), but, at 152 words, it’s long by most web content standards. You are not writing to impress the scientist you have just interviewed, nor the professor who got you through your degree, nor the editor who foolishly turned you down, or the rather dishy person you just met at a party and told you were a writer. Or even your mother. You are writing to impress someone hanging from a strap in the tube between Parson’s Green and Putney, who will stop reading in a fifth of a second, given a chance. The lede is one of the most challenging parts of writing an article, report, blog post, or even an email or memo—and also one of the most important. Advice from all the writers and editors I talked to? Just write the thing and then after the piece is done, rewrite it as much as needed, which might be several times. Do you write the lede first or last? I usually write it first, then delete it, then write it last, then delete it, then delete everything, then drink some tea and contemplate my life choices, then I write something else entirely, and then I write it first again. So… first, then rewrite later. Questions to ask as you’re writing or editing the lede: Does the lede make sense—explain briefly what’s to come? Is it supported by the rest of the document? Does it quickly hook the reader to continue reading? Bonus if you write for the web: Does the lede have the keywords you’re targeting for SEO? That same editor who introduced me to “throat-clearing” ledes also taught me the word “handwavy,” which according to NVIDIA’s Jack Dahlgren comes from “the magician’s technique of waving their hands to draw attention away from the actions behind the magic trick.” It’s not that we’re trying to fool the reader when we’re handwavy, it’s that we haven’t provided the reader all the facts or steps they need to understand what we’re trying to explain. So, for example, if I’m writing an article for the general public about transferring files between computers over the internet, I should explain what SFTP is when first mentioning it, since most people might not know that SFTP stands for Secure File Transfer Protocol and that it’s a way to transfer and manage files between computers over a secure connection. In the same vein, here at Zapier, we try not to assume the reader knows what Zapier is when they first come to our blog or what “Zaps” (our word for automated workflows) are. Pro tip: Just avoid jargon, unless you’re going to explain that jargon. No one wants to feel like an outsider. Try the Hemingway app to test writing for readability. Similarly, you need details to prove your point. If I state that exercise helps prevent colds, I’d best link those statements to research proving that point or to experts, such as doctors, who would back up that claim. Questions to ask as you’re writing or editing: Are terms most people don’t commonly use explained or linked to definitions? Are claims all linked to relevant research or backed by authoritative sources? If you were the target audience for this content, would it make sense to you? Passive voice is used too often by writers. Writers use passive voice too often. Active voice, as in the previous sentence, is more direct and stronger because the subject (writers) is doing something (using passive voice), rather than the subject taking a backseat. By far, the most common thing I wind up editing out or changing is passive voice. It’s fairly simple to identify once you understand it, but it can be deceptively difficult to many writers to pick out of their own work, even if they go back and review their writing when they’re finished. If the subject isn’t clear, undefined, or you’re using verb tenses that struggle to describe the action taken by a person or party not named in the sentence, you’re probably using passive voice. In the same vein, I find many writers rely too heavily on present participles (-ing words, for example) when the simple present version will work better, and engage a reader more directly. For example, “Bill was setting the table” is fine, but “Bill set the table” is more direct, active, and engaging, which is critical to make sure your reader sticks with you, your story, or your article all the way through—and derives value from what they just read for their own use! Passive voice isn’t always the worst thing in the world, but when it makes a sentence incredibly wordy, you’re doing a disservice to your readers. If you catch yourself saying “One of the reasons for this is,” or something similar, you should probably rethink what the subject of that sentence is. In each of the sentences below, the passive voice is natural and clear. Rewriting these sentences in the active voice renders them sterile, awkward, or syntactically contorted. Passive: Bob Dylan was injured in a motorcycle accident. Active: A motorcycle accident injured Bob Dylan. Passive: Elvis is rumored to be alive. Active: People rumor Elvis to be alive. Passive: Don’t be fooled! Active: Don’t allow anything to fool you! Questions to ask as you’re writing or editing: Is the sentence natural and clear? Will active or passive voice make the sentence more direct and engaging? Try to rewrite with as few “to be” verbs as possible and default to active verbs and tangible nouns. If you’re familiar with the Zapier blog, you’ve probably noticed that our articles are sometimes more like novellas than blog posts. While we’re fans of long-form content, we try not to be wordy. Your writing will be more concise and persuasive when you lose the overused adverbs and adjectives that ultimately detract from the meaning you wish to impart. Does the first of the following two sentences honestly convey any more meaning than the second? Two-factor authentication is very important technology. Two-factor authentication is important technology. Two-factor authentication is critical technology. Also, you can probably cut “that” from most sentences without changing their meaning, says Bryan Clark, US Editor at The Next Web. For example, “I think that waffles are better than pancakes” could just be “I think waffles are better than pancakes” or even better: “Waffles are better than pancakes” (it’s assumed that’s what you think). In the sentence above, “just” could be edited out also. But I’m leaving it in for tone and color—just watch out how often you use “just” in a piece. Questions to ask as you’re writing or editing: Does this word add anything to the meaning or the flow of the piece? Can you read the sentence without running out of breath? If the lede is meant to hook readers and convince them to keep reading, the conclusion is meant to neatly tie up the piece, so readers come away satisfied. Often, though, I see drafts where the piece abruptly stops, as if the writer expended all their energy on the meat of the post and had no room left for the conclusion (the dessert, in this analogy). When you don’t know how to conclude a piece of writing, try answering the “so what?” question. Why should anyone care about this? How does your idea apply to the reader as a human being? Can you situate your thesis in a broader context? If your post is about how to work a 40-hour week, for example, use the conclusion to address why that’s a goal worth pursuing, or discuss the widespread problems that our culture of overwork creates. The conclusion is an opportunity to ask readers to engage with you further, direct them to relevant content, or give them more to ponder. Questions to ask as you’re writing or editing: What’s the takeaway for the reader, and is that expressed in the conclusion? Bonus points if you don’t use “Conclusion” for your header for this section. Now that we have the major writing issues out of the way, let’s talk about micro issues—the punctuation, word choices, and other things that copy editors usually catch, if you’re lucky to have a good one. They’re little things like using “their” when you mean “there” or “who” instead of “whom” (although “whom” seems to be going out of style and there’s no reason to use it except for the trousers and the steeds, and “they” is becoming more accepted as a singular pronoun). Nitpicky as the Grammar Police might be, grammatical and mechanical errors that are easy to overlook can make your readers do a double-take and perhaps doubt your authority. As a writer, I appreciate learning from readers’ comments to not write “alot” anymore, because there’s no such thing as “alittle,” but, at the same time, I’d rather the comments were about the content. So, here we are. It would take years to cover every grammatical mistake or point of contention, so for now we’ll just go over the most common mistakes and point you towards more resources for diving deeper. “They’re,” “their,” and “there” are examples of homophones—words that sound the same but are spelled differently and have different meanings. Another common pair of homophones is “affect” and “effect.” The former is a verb that causes something to happen (“I hope this post affects people”), while the latter is a noun (“We tried to analyze the effects of this post on readers, to no avail.”)—when it’s a noun, with an e, “effect” is the subject of something happening. Pro tip: The best way to deal with homophones is to create a mnemonic or memory aid to remember when to use which word. For example, I remember the affect/effect example by thinking affect starts with a, which starts “action,” while effect starts with e, which starts “end” (as in, the thing that happens at the end after the action). For more homophone fun, head to homophone.com, a site dedicated just to homophones. Pro tip: Any time you use an apostrophe in a contraction, where you’re combining the verb with the noun (such as “it’s” for “it is” or “here’s” for “here is”), expand the contraction in your mind so you get the subject-verb agreement right. “Here’s the best apps,” for example, does not work when you expand the “here’s” contraction—”here is the best apps.” It should be “here are the best apps.” Just don’t use contractions in this case. 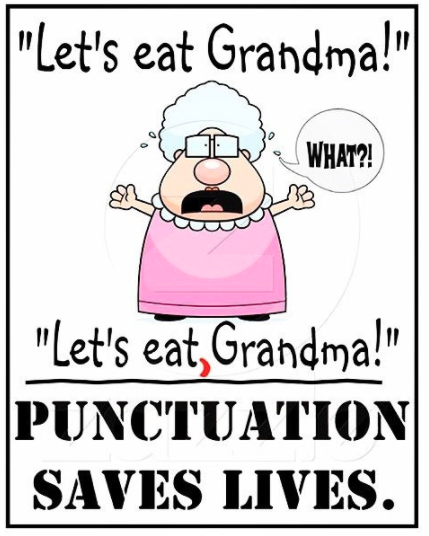 As usual, The Oatmeal has a fun graphic explainer on how to properly use apostrophes. Basically, pick your side, and stick with it. But if you’re on the fence, go with the Oxford comma: It can help you avoid a lawsuit that hinges on a single comma. Remember the FANBOYS rule before adding a comma: If you’re connecting two complete thoughts with a coordinating conjunction (For, And, Nor, But, Or, Yet, or So), you should always use a comma before the coordinating conjunction. However, if only one part of that sentence is a complete thought, the comma is unnecessary. – “Don’t want the pickles” wouldn’t be used, in most cases, as a standalone sentence, so we don’t need the comma. – “I don’t want the pickles” is complete with subject and verb, so we add the comma. Also, add a comma after “Also” at the beginning of a sentence, but don’t add a comma after “Or” or any of the other FANBOYS unless it’s followed by a parenthetical. 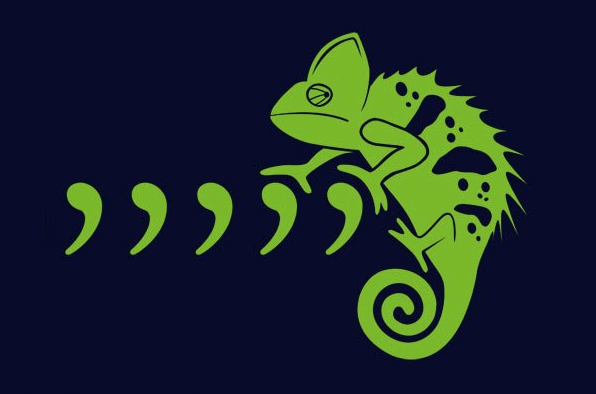 Pro tip: Every time you want to add a comma or a semicolon, consider whether the words after the punctuation mark form a complete thought that could stand on its own. But other times repeating the same words or phrases is a sign that you’re struggling to communicate or fully explain your topic without beating around the bush. Readers (that is, people) like variety, and, in some cases, the thesaurus is your friend. Pro tip: Grammarly’s advice: Read your piece out loud, then cut down or replace frequently used words. When writing, ask yourself if you’ve already made this statement before in your piece. Writing is all about choosing the right words in the right sequence to convey your thought or idea. Simple, right? The problem is there are so many words at your disposal and picking the “best” word is impossible. But some words are better than others when you want to get your point across and also be precise and accurate. One of my pet peeves is when people use “less” when they should be using “fewer.” As in, “I have less readers than I did when this post was published”—it should be “fewer.” Use “fewer” when you can count whatever you’re referring to (in this case, readers) and “less” when you can’t, such as less readership or audience. Similarly, you’d say “less water” (not countable) but “fewer raindrops” (countable). If you want to go down the word usage rabbit hole, here are the 58 most commonly misused words and phrases. Pro tip: The next time you misuse a word and correct it (or your editor corrects it), come up with a mnemonic to remember the right word. Sometimes writing “mistakes” are really style issues, up for debate. Other times, a writing error could trip up your reader. The most important thing is to learn from each piece of feedback you get, whether it’s your boss, a blog reader, or your future self re-reading your post months from now. While these are the 10 most common writing mistakes we and our sources have seen, there’s plenty more where that came from, so please add your own insights in the comments.